4 Extra Debut. 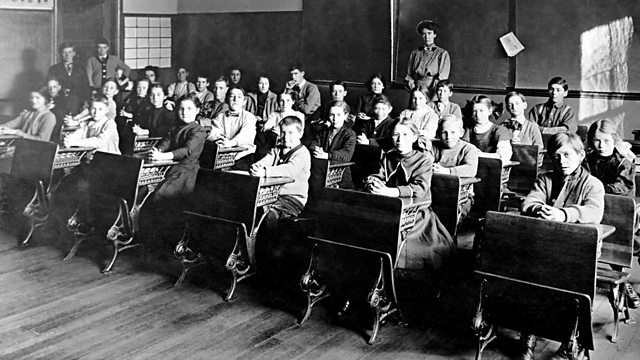 David Cannadine explores the evolution of the teaching of history in English schools over the past century. From October 2011. Over the past two years, historian Sir David Cannadine has led a ground-breaking research project at the Institute of Historical Research on the teaching of history in English state secondary schools during the past century. Here, he draws on the oral histories that he has gathered - recollections by former pupils, teachers and policy-makers - to show that, for as long as history has been taught, the questions of what history should be taught, how history should be taught, how much history should be taught, and to whom it should be taught, have caused fierce debate. These oral histories - which will be housed at the British Library from 2012 - form a varied, complex, and often surprising archive of how the teaching of history in English state schools has evolved. David Cannadine also brings us gems from the rich archive of schools history radio and TV programmes. Together, these recordings both flesh out vividly what we already know, either from our own experience or from that of our parents, grandparents or indeed children and grandchildren, and crucially, they explode some of the myths and preconceptions about school history in the past. With appearances too from some of our favourite fictional history teachers - from Muriel Spark's Miss Brodie to Alan Bennett's Mr Irwin (The History Boys).